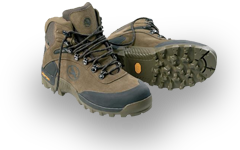 Walking for fun or for exercise (or both) is a relatively recent phenomenon. But walking itself is perhaps the most ancient of human activities, the one that set us apart from our primate cousins and caused our brains to evolve as they have. At first we walked to gather food or hunt, then to get to and from places of work or trade -- utilitarian walking, you might call it. But even that far back there were also pilgrims, walking in search of some transformation or enlightenment, sometimes barefoot or even on their knees. Pilgrimage is found in every culture and spiritual tradition, usually associated with mountains or areas of particular natural beauty. With the dawn of the industrial revolution and urbanisation, walking took on new dimensions. It became an important escape from the dreadful conditions of the cities, and poets such as Wordsworth walked miles each day to get closer to the nature which inspired his work. Gradually, walking also developed into a potent form of public protest worldwide. In 1930 Gandhi led a 240-mile Salt March in India against unfair colonial taxes, and in 1932 the Kinder Scout trespass in Derbyshire asserted the right of working class people to have access to open land. Since then there have been countless marches by large groups or individuals to draw attention to social issues. 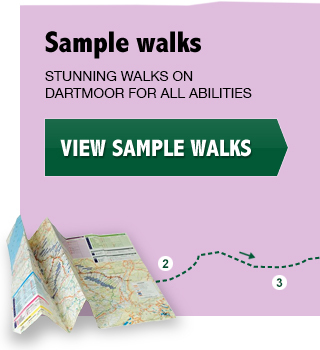 Today, subjected as we are to a constant barrage of noise and digital stimuli, many people value the uncluttered “thinking and being space” that walking provides, especially in wide open landscapes such as Dartmoor. Many of the paths on the moor have their origin in ancient routes that reflect the ways people lived and walked on it hundreds of years ago. 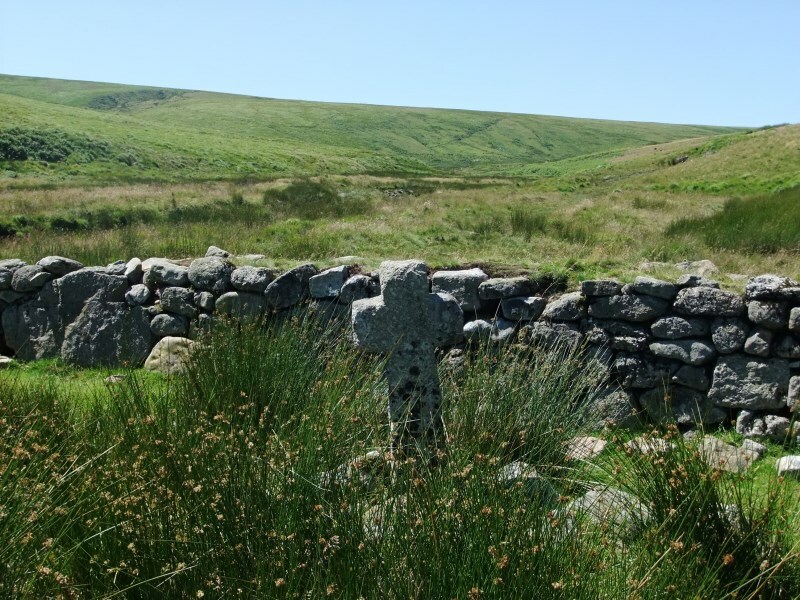 · Monks walked between monasteries on the Abbots Way -- one can still see some of the medieval crosses that helped them find their way between Buckfast, Plympton, Tavistock and Buckland Abbeys (such as Huntingdon Cross pictured here). · Yarn-jobbers crossed the moor during the height of the wool industry on the Jobbers Way (and there is much argument about which parts of these trackways were used by jobbers and which by monks). · Packhorse tracksran between the major towns, often recognisable today because of the paved fords which enabled the ponies, laden with wool, to get across the moor’s many rivers. Those who joined my Swincombe valley walk will remember the ford and deeply rutted track running through enclosures and associated ruins which would have provided welcome overnight rest for those who’d struggled up from Ashburton on the way to Tavistock. · The Mariners Way took sailors from Bideford down to Dartmouth (or vice versa) in search of their next boat. Much of it is now part of the Two Moors Way. · Peat trackssuch as Black Lane and Blackwood Path led down from the high blanket bog land, bringing the precious fuel to settlements. For at least 1000 years this industry was active, and so the tracks may be deeply marked in the ground, only to disappear completely when the terrain changes. · The Lych Way is one of the most ancient of all. It led from the central basin around the upper Dart (Prince Hall, Bellever) all the way over to Lydford Church where the dead were buried. 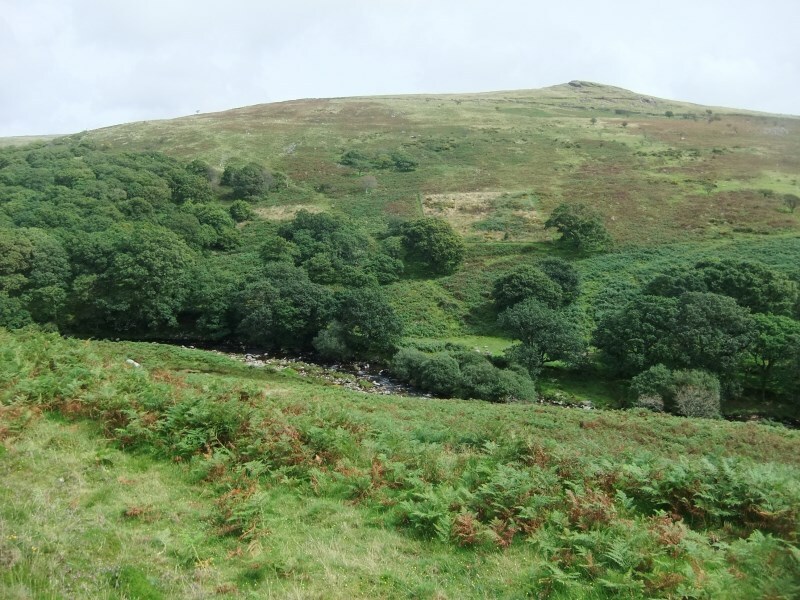 In 1260, the bishop took pity on the moor dwellers and allowed them to bury their dead in Widecombe instead, but sections of the path remain clearly visible to this day.